Sean Coakley was almost paralyzed after his near-death experience falling off a cliff during a training ride. He even became a Bikram Yoga instructor. Now, thanks to microcurrent therapy and his Avazzia Best Pro 1 microcurrent device his back in great shape, as if he never had an injury at all. He went to the best osteopaths, chiropractors and physical therapists and acupuncturists hoping to relieve his pain. The chronic pain got worse and her refused medications and it affected his personal life. He had trouble interacting with his wife and kids, and the pain made going to social gatherings impossible. He spent a lot if his time in seclusion and endured the pain, day after day. Sean knew that an injury can change your life. He was a former soccer player. He was a Division one player but had to quit after an ankle injury. He tore two ligaments and was not able to recover and lost his scholarship. As a recovery sport, he turned to cycling. He found fulfillment in his new career. Unfortunately, he got into a traumatic accident and sustained injuries that left him almost paralyzed. “I thought I was going to not be of value anymore because I could not get on my feet,” Sean lamented. “It’s a desperate situation”. Bikram yoga played an important role in Sean’s journey to finding the solution to his pain problems. Bikram yoga has a lot of benefits. It allows the body to stretch, detoxify, relieve stress, tone, and heal chronic pain such as arthritis, joint aches, knee injuries and back problems and the 110 degree heated room really helped ease the pain. However, Bikram yoga was not enough for Sean’s case. He was still searching for the best long-term solution to his chronic back pains and complete recovery from his accident. Finally, he learned about the benefits of microcurrent therapy from Benedick Howard and his wellness coaching expertise using advanced microcurrent therapy application strategies. 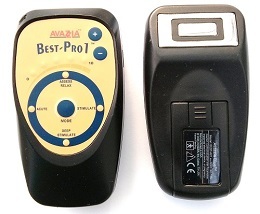 Sean used the Avazzia Best Pro 1, a hand held microcurrent machine for pain relief and solving the underlying issues. At first, he was skeptical about the benefits of using microcurrent therapy biofeedback. What helped him? “I needed some expertise. It would have been hard to go through this process or believe in this technology enough if I had just wanted myself and tried to figure it out and didn’t have direction so the direction was a key component for me and the training put me through a field knowledgeable enough that I was doing it correctly”, Sean explained. When you brush the body using the Avazzia Best Pro 1, you’re tingling all of those tissue fibers and the signal is mimicking what comes down the brain. It is very organic. 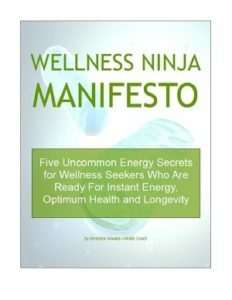 It so happens that signal simulates the release of neuropeptides and that’s what creates these rejuvenating recipes that can literally change the way you feel and think, and solves the underlying causes of your pain. Sean shared one regret. He wished that he had known about microcurrent earlier and bought the device sooner. Sean emphasized in the video. “I mean gaining your life back is worth a lot more than any dollar amount you put on the table right so you know every moment spent worth it. So again, major thanks (Benedick) for being an expert in this and providing someone like me didn’t know much”. Maybe your condition is not as near-death as Sean’s. Still, it’s very frustrating to live every day of your life in chronic pain. Why should you prolong the agony? Start with the eBodyFUSION free health assessment report here. « Previous Post Is The “Resonance Effect” The Definitive Reinvention Of Microcurrent Medicine? Next Post » SCENAR vs TENS: Which is the BEST?